Discover why Tampa Volkwagen customers voted us #1. We’re proud to announce that Reeves Volkswagen has earned inclusion in the prestigious Volkswagen Customer First Club for providing outstanding customer satisfaction throughout the course of 2017. This much-coveted distinction is bestowed only upon the few Volkswagen dealers that have consistently delivered the highest levels of perfection in both sales and service within their market, as voted by people like you — our customers themselves. With so many models and options to choose from, today’s car buying experience can be daunting. That’s why more and more Tampa drivers are choosing Reeves Volkswagen. Our low pressure, no hassle, professional environment combines with the lowest fees in the region to make Reeves the smart and easy choice for your next vehicle. 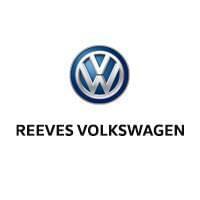 This award is verification that the customer experience at Reeves Volkswagen goes the extra mile, and above and beyond what you’ll receive from other Tampa VW dealers. Determined directly via customer surveys, it’s also further proof that Reeves puts you first.